« Canada – Why Canada why? The wharf at Tolaga Bay was once a thriving bustling pier, fishing boats, cruise ships and other vessels regularly docked at the bay. You can still see the railway tracks leading out into the bay. The wharf at Tolaga Bay stretches 660 metres out into the South Pacific, but what was once a thriving pier is now a shadow of its former self, old and crumbling, unprotected and exposed to the elements. It is easy to see why the Tolaga Bay Wharf has fallen into a state of disrepair, the East Cape juts out into the Pacific and the bay itself offers not much protection from the elements, especially the storms which work their way up from Antarctica. 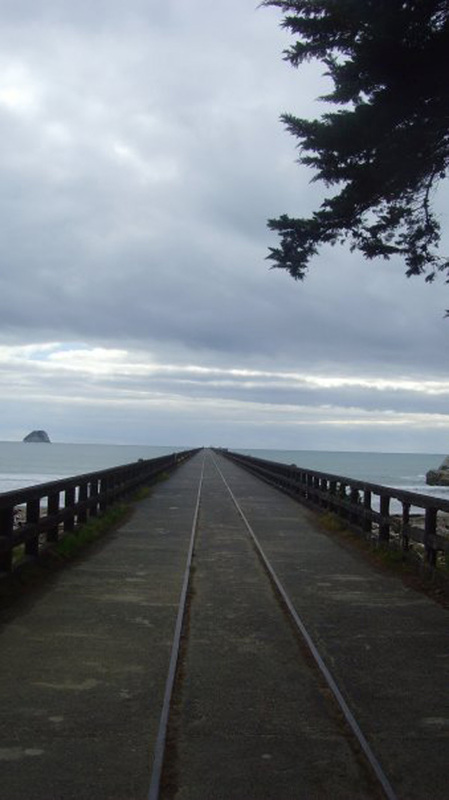 The East Cape itself is a wild and remote corner of New Zealand and the wharf at Tolaga Bay is symbolic of the changes, the small community who make the Cape their home, have undergone. What was once a working bay now lies idle, used only by a handful of local fisherman and curious travellers alike. The wharf closed to ships in 1968 and closed to vehicles nine years later in 1977. Tolaga Bay sums up the pioneering spirit of New Zealand and why I love the country – its spirit to overcome, its spirit to live with the elements, and its spirit to endure makes New Zealand a very special country.